First and foremost my dogs are family members. Show dogs second,that’s if they enjoy it. Other wise they are couch potatoes or squirrel chaser’s which ever they choose. Hello my name is Amanda I live just over the river fron Daytona Beach Fl on 2 acre’s with my Irish Setters. My first acquaintance with the setter was in the early 70’s in England when my mum came home with this big red dog she had acquired from an American Service member that was being sent back state side.From there it seems we have always had one around the house. In 1998 I purchased my Heart dog from the then Fran Shea now Fran Jackson of Signature Irish Setters his name was Signature’s Peyton Place(peyton),he was my life we went every where together, but in 2002 he died and took my heart with him. 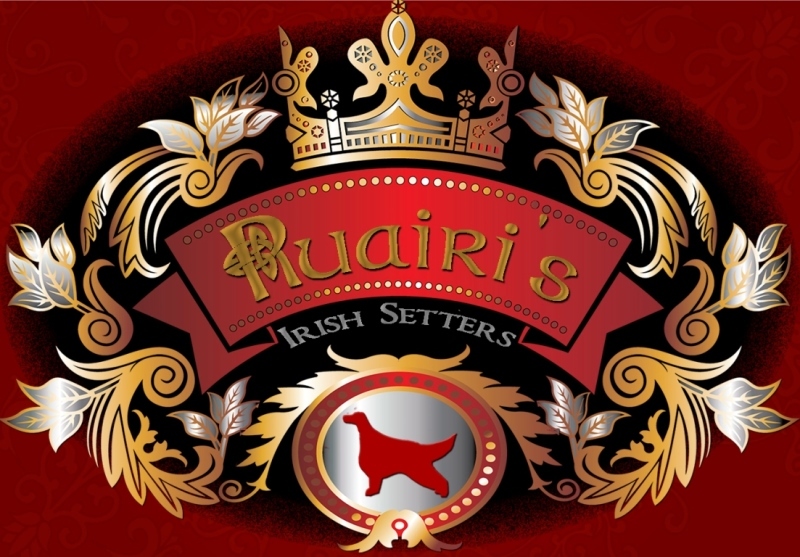 I then swore to never own another Irish setter,but as fate would have it while surfing the net one day I aciddently hit a link to Waterdance Irish setters and there were these cute little red puppy’s, after an email I found myself agreeing to purchase a female with a contract to show her. I knew nothing about showing nor had any interst in doing it but told the breeder I would find somebody to show my girl. A month later I flew from Florida to the Arizona National to pick up my Kylee, and we’ve been inseparable ever since. Her first show was at 12 months old, I did not go I sent her with a handler as I really was not interested in showing dogs, But a contract is a contract by her 3rd or 4th show I was talked into attending by the person who was mentoring me to groom her and keep her in show condition Ellie Pusateri of Darnelle’s Irish Setters a wonderful mentor who taught me a lot,and I’m very thankful for all she taught me! But from there I was hooked . All of my dogs live in my home and sleep on my bed. This obviously limits the number of dogs I can have at any one time. My breeding program is small and selective, only producing a litter when I want a puppy for myself. I take a great deal of time and care selecting the right dog to breed to one of my girls in order to produce puppies that are healthy, have correct type and structure, and have stable temperaments. It is my goal to place puppies into homes that will consider them a family member. I breed for quality not quantity .